I collaborated with the Univeristy of Florida chapter of the Public Relations Student Society of America for a redesign of the chapter’s logo. While the type had to stick with the organization’s national standards, I tried to give it more UF flair. The logo was created in Adobe Photoshop using Gator orange and blue. I also made a stock flier and letterhead that would be consistent with the new brand. This logo is more subdued and mature-looking than the original, with just a bit of movement from the background vector to make it a little more youthful. 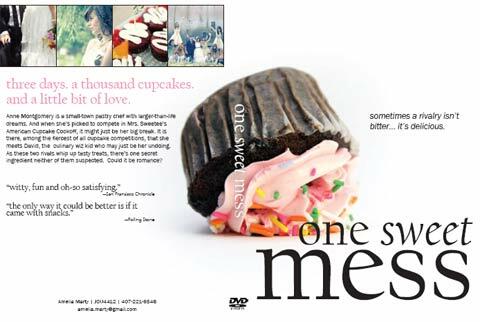 Created for my advanced design course at the University of Florida, this DVD cover was designed for a fictional movie of my choosing. I absolutely love food photography, and I was drawn to this photo from stock.xchng because of how the colors jumped off of the white background. 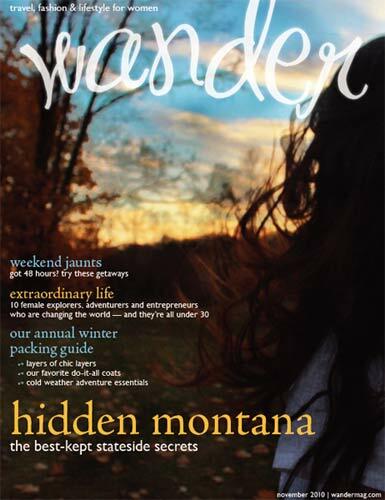 Wander Magazine is a fictional title I made up for this design course project. It’s a travel, fashion and lifestyle magazine for women, and it’s the sort of publication I’d love to read if it actually existed. This gorgeous photo comes from Flickr user jessieroth and was the inspiration for the piece. 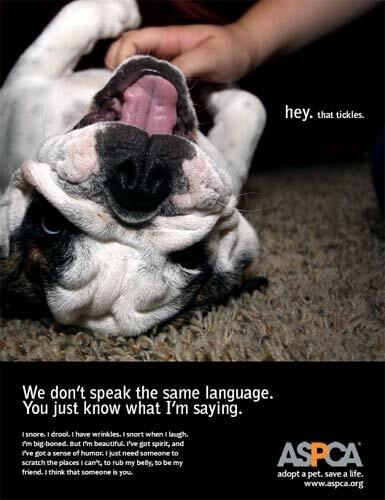 In this course project, I translated my obsession with English Bulldogs into an adopt-a-pet ad. The photo was taken by Flickr user sheeparefun, and I really loved the energy and playfulness of the image. It’s the kind of thing that makes you want to pet a dog right now. We don’t speak the same language. You just know what I’m saying. I snore. I drool. I have wrinkles. I snort when I laugh. I’m big-boned. But I’m beautiful. I’ve got spirit, and I’ve got a sense of humor. I just need someone to scratch the places I can’t, to rub my belly, to be my friend. I think that someone is you. I have to note that this image is in no way actually affiliated with the ASPCA and was done as a project for a class at the University of Florida. I apologize for any confusion. My news design class at the University of Florida required me to redesign a publication of my choice. 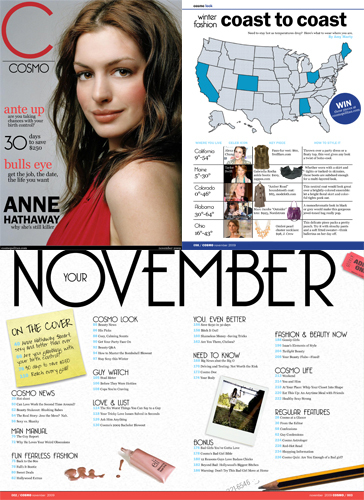 I chose Cosmopolitan, and I created a table of contents, alternative story form, conceptual story and cover. I chose Georgia as the primary font to lend a more subdued, consistent and artful look to the magazine, and I composed a color palette of primarily jewel tones which I think lends a more mature tone. I’m really happy with design, and I’m equally as happy with my choice of Anne Hathaway (a favorite actress of mine) for the cover star. This was the heaviest text flier I’ve had to design. It was an interesting challenge to figure out a good way to include everything but still make the page readable and attractive. I stayed away from novelty fonts and created the entire thing using Georgia and Calibri. 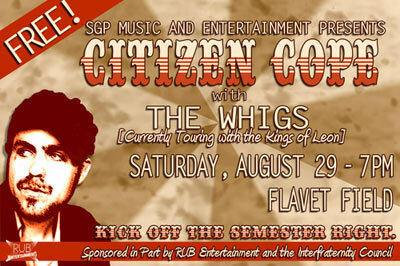 Musician Citizen Cope was invited to perform in August of 2009 at the University of Florida. 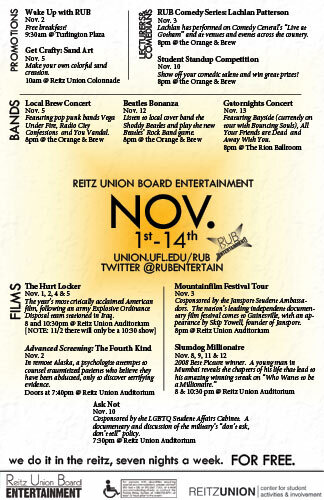 This flier was printed on full color 4×6 glossy handbills. Several thousand were distributed around campus and the surrounding area. I was inspired by the circus-style font I used in this design. I wanted the entire piece to feel like a “big top” event, while still looking subdued and professional. I really liked working on this color palette.